After discovering that my brand new iPhones case was slightly too big to properly plug my FM transmitter into, I went on the hunt for a good quality transmitter that was reasonably priced and would let me talk on the phone through my car speakers. Even with the larger than usual case, I was able to find several transmitters that would allow me to plug in my iPhone with the case still on. However, they were bulky themselves, and significantly expensive for transmitters with limitations. 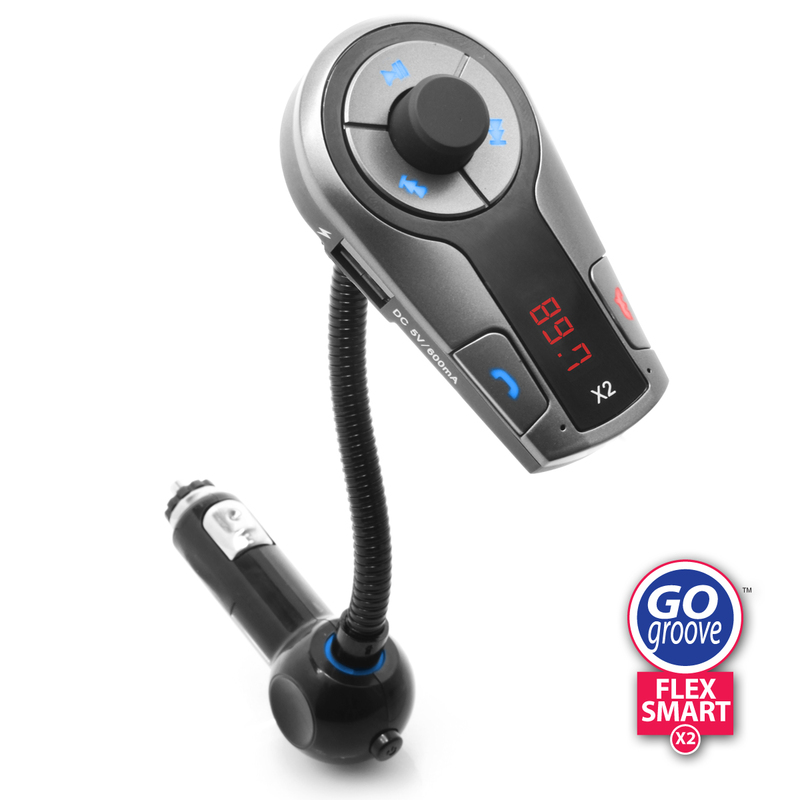 And then I found the GOGroove Flexsmart X2, a wireless FM transmitter that uses its Bluetooth capabilities to connect to other Bluetooth enabled devices, like my iPhone. This FM transmitter easily plugs into any DC car outlet and syncs with your Bluetooth enabled media player, whether its a smartphone, MP3 player, or even a tablet. Its Auto-Tune feature quickly finds the best free FM station and clearly displays it on the screen, making it easy for you to know what station to change your radio to. The built in microphone and hands-free calling capabilities are also great to have, especially for someone like me who is always on-the-go. Accessory Genie is giving away a FREE Flexsmart X2 Wireless Bluetooth FM Transmitter to a lucky winner! All you have to do to enter is click here to go to the contest page and fill out a short form. The winner will be announced on April 5 on the Accessory Genie Facebook Page as well as personally notified via email. For contest details and to enter for a chance to win your own Flexsmart X2 visit the Flexsmart Contest Page. Universal Chargers Save My Day! AND Devices!